This useful blog post about dementia support is one which we’ve shared with our undergraduate students. Healthcare professionals need to know about dementia. The number of people affected is increasing with the ageing population and the financial resources to support them in local authorities and in the health service are not increasing at the same rate. This means that more and more people will be living alone at home or with their families, and healthcare professionals will meet them in every setting. District nurses, practice nurses, and healthcare colleagues in the community care for them. Acute hospital staff in almost every specialism will be looking after people with dementia, whether surgical, medical or other specialist area to which the patient has been “boarded out”. And of course 90% of residents in care homes and nursing homes have dementia. But even more than professionals, families need to know about dementia. If the increasing numbers of people affected are going to prevent statutory services from providing full care, families are going to have to take up the burden. People who have no one will have to depend on the shrinking public sector, and if any of us have an ageing parent, or are ageing ourselves, we need to anticipate taking a more active role in care. And those families will be turning to us to learn about how to cope with dementia at home. The Dementia Services Development Centre at the University of Stirling is celebrating its 25th anniversary this year. 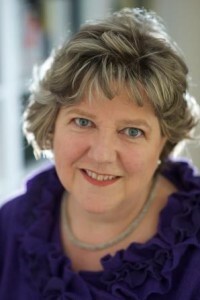 It is led by a nurse, Professor June Andrews FRCN who has a team that includes nurses, social workers, doctors, allied health professionals, architects, and others – all focused on what is practical and makes a difference for people with dementia. 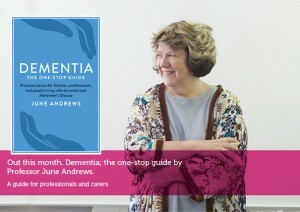 The books we publish are available to purchase from our website http://www.dementia.stir.ac.uk , but some are free downloads that can be instantly accessed. The degree courses are on line and by distance learning, so anyone can do a module as CPD, or you can do a Masters degree in dementia studies. But not everyone has time to do a degree and what should you do and say when faced with families who are dealing with the most common problems of agitation, anxiety, depression, hallucinations, aggression, wandering, nocturnal wakefulness…..and much more in dementia? A dementia awareness course is not going to tell you what to say when families ask you about these complex problems that can break the carer, and lead the person with dementia into institutional care, losing their home.